If you are looking for a fast way to brighten your smile, Zoom teeth whitening from Moore Family Dental produces amazing results in just one visit. This in-office whitening treatment will make a dull smile brilliantly white in just one to two hours. Other types of treatment can take weeks. Take a look at the before and after photos below. 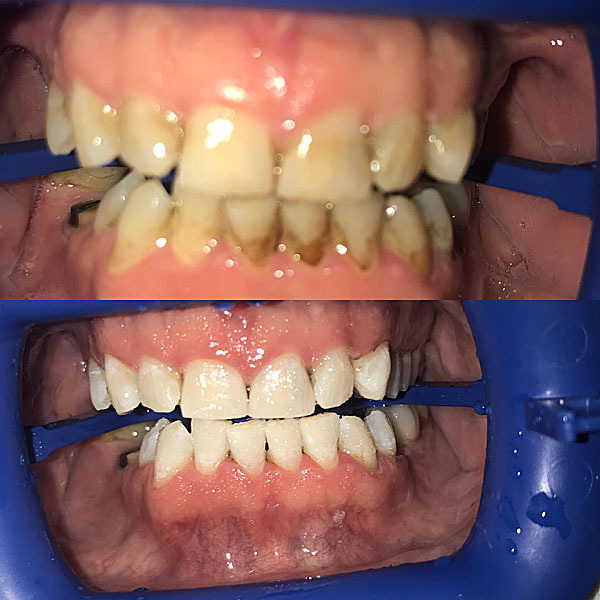 In the top photos, you can see the teeth stains and overall yellowish appearance. 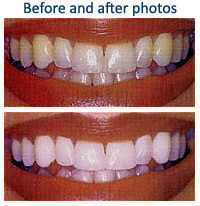 Then look at the bottom photos – in just one visit patients are seeing dramatic whitening results. Zoom is professional-strength bleaching gel that releases oxygen in your teeth to break down embedded stains. A Zoom light is used along with the gel to activate it and boost its effects. Your teeth will be examined to ensure they are healthy and that you are a candidate for teeth whitening. If you are a candidate for Zoom, treatment can begin after you’ve had a professional dental cleaning. We will take impressions of your teeth for customized bleaching trays that you will use for further whitening at home and for touch-ups. For your in-office session, we will coat your gums to protect them from the bleaching gel. 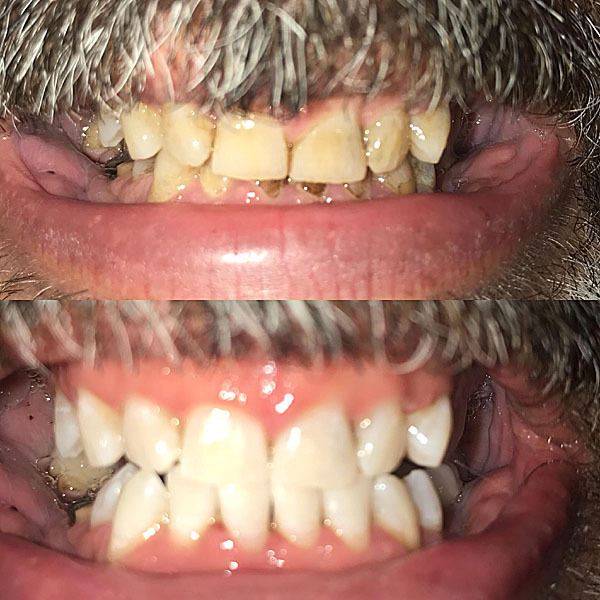 After we brush a small amount of Zoom whitening gel onto each tooth, we will shine a Zoom LED light on them for about 15 minutes. The light helps to activate the gel and intensify its effectiveness. We will remove the gel and repeat the process three to four times. Each whitening session progressively breaks up stains and brightens your smile. Your teeth will be up to eight times whiter! In-office treatment is a huge jump-start for a brighter smile. We will give you a Zoom whitening kit that includes your customized bleaching trays and gel. For the next 14 days, you will do whitening treatments at home. Place a small amount of the gel in the trays, and wear them overnight. This will help stabilize the new whiter color. If necessary, you’ll return to our office for a final treatment. We will explain how and when to do periodic touch-ups at home to maintain your bright smile. 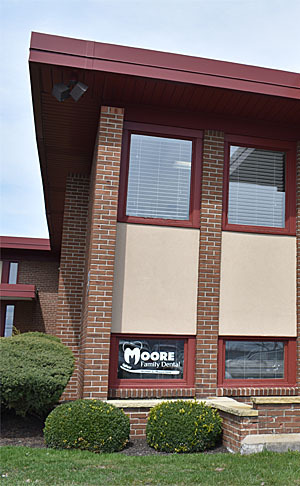 If you have any questions or would like to schedule a whitening appointment, please email us at scheduler@moorefamilydental.org or call 716.835.1670 to request an appointment time.